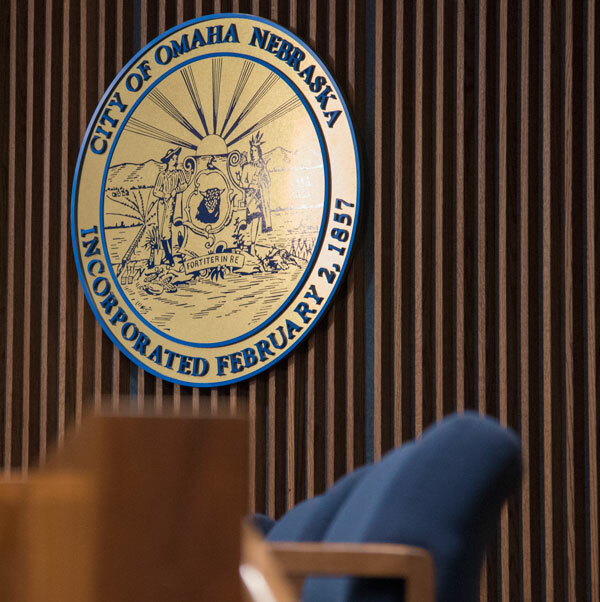 At their meeting yesterday, Omaha City Council members once again debated whether to expand the City’s restaurant occupation tax to food trucks. Council members began Tuesday’s meeting with two resolutions concerning tax levies. The first resolution authorized Omaha’s Transit Authority to levy just over 5 cents per $100 of valuation on taxable property. The second resolution authorizes the City to levy just under 48 cents per $100 valuation. Both resolutions passed unanimously and without anyone speaking out against them. Council members then approved a plat agreement to create a new subdivision called Hana Hana, located east of the intersection at 67th and “F” Streets. The Council then approved several liquor license applications before turning to their consent agenda, which contained three resolutions to create street improvement districts in several parts of the City. Council members continued the recently established practice of splitting the cost of the street improvements with the residents living along the affected streets. Then the Council turned to Item 58 on their agenda, which was an issue they’ve tried to deal with several times before; whether to expand the City’s 2.5 percent restaurant occupation tax to food trucks. Instead of supporting the measure outright Tuesday, Councilman Chris Jerram proposed an amendment which would lower the restaurant tax on all businesses—brick and mortar as well as food trucks– by a quarter of a percent, down to 2.25 percent. Jerram said if the City is taking in millions more than necessary, why not put that money back in the hands’ of the taxpayers? Omaha’s 2017 budget, which has already been approved by the Council, estimates the City will collect about $300,000 in revenue from the restaurant tax. Omaha’s Finance Director, Steve Curtiss, said that $300,000 includes revenue collected from food trucks. In his words, everyone assumed this ordinance would have passed by now. When Mayor Jean Stothert ran for election three years ago, she said she wanted to get rid of the restaurant occupation tax, but has yet to follow through on that intention. Councilman Jerram did not publicly discuss his idea to lower the restaurant occupation tax before Tuesday’s meeting, which also happened to be the first day of the Mayor’s weeklong vacation; facts Councilwoman Aimee Melton made note of. “I just have a few more questions in regard to something like this, because I’m not sure why this wasn’t brought up when we had the budget [meetings] so that potentially the Mayor, department heads and this Council could have some input into how do we reduce it, what do we reduce, or where do we put the money,” Melton said. The Council started talking about expanding the restaurant tax to food trucks months ago, when Council members Garry Gernandt and Franklin Thompson originally proposed the ordinance. Councilman Gernandt has repeatedly pointed out in that time even the Omaha Food Truck Association is in favor of the tax. On Tuesday, the Councilman seemed frustrated at the time it’s taken to get the ordinance passed. But the Council didn’t vote the issue up or down, instead Council members voted to layover the ordinance once again, so the Mayor’s office can have time to respond to Councilman Jerram’s idea to lower the tax by a quarter of a percent. Another ordinance dealing with food truck regulations is also expected to be before the Council in the next few weeks.